i asked the priest about the place Tiruvadaduthurai, our next stop, which was the Jeeva Samadhi place of the great Siddha Tirumoolar, about whom my Guru often spoke in shivirs, of how a Siddha was passing over a group of cows and saw the cows sad. He halted and found that the boy named Moolan, who looked after the cows had died in the fields and the cows were stranded with sad looks on their face. Feeling overwhelmed with compassion the Siddha thought of a plan to help the cows. He wanted to get into the dead boy and then guide back the cows to their homes and come back. For this he hid his body in a bush, left his body and using the method of Parakaya Pravesh (entering another's body), the Siddha got into the body of Moolan, who when he woke up, the cows were happy and were guided back to their homes. Moolan soon returned back to the bush but to his astonishment his body was missing. He searched everywhere but in vain and had no other option but to continue living in Moolan's body. He then spent his time there in meditation and came to be known as Tirumoolar meaning "Holy Shepard". 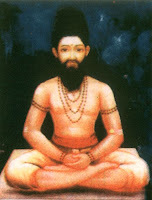 He sat in samadhi near the temple in Tiruvadaduthurai for 3000 years, coming out of his silence once in a year and speaking one verse every year. Thus 3000 verses were gathered which came to be known as the famous (in Tamilnadu) "Thirumandiram". Each verse was a contemplation of one year which was compressed in a stanza. This sacred book is in the poetical format and contains great secrets lying deep within it's ornamental poetic form that is impossible for a layman to understand. These can be only decoded with deep contemplation with His grace. People believe that Siddha Thirumoolar turned into light here behind this temple. While some believe he turned into light in Chidambaram temple in Chidambaram ('Chit' or consciousness and 'ambaram' meaning sky). 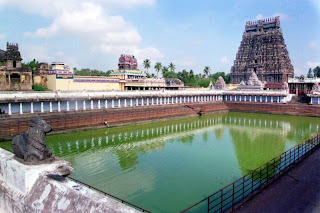 Siddha Thirumoolar has a good connection with the mysteries about this temple in which is housed the idol of Lord Nataraja and mysteries revolve around the sacred 'secret' space that exists in this temple. It is believed that at this very spot Siddha Thirumoolar turned into light. (read more on our previous visit to this place). So, this was our next spot and the priest at the Siddhar Kaadu temple further guided us to the nearby road where buses stop. 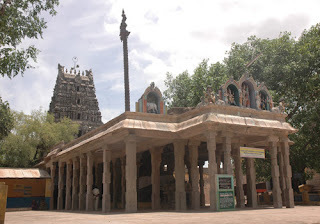 It was around 1 p.m. when we reached the Thiruvadaduthurai temple and i had lost all hope of having even a small darshan of place where he had meditated and written the Thirumandiram was believed to have finally have disappeared into light. Parking the car, we ran towards the temple. Ekambaran (the driver) asked us to first visit the space of Thirumoolar behind the temple and then visit the temple as it was almost closing time. We soon heard it was closing but by then Ekambaran was talking to someone in Tamil and that person whom he spoke to asked us to follow him hurriedly. We were running naked feet behind him not knowing why. The person whom Ekambaran was speaking to, quickly guided us into the place of Siddha Thirumular. We spent some time looking at it and the energy in there was just magnificent. He asked us not to hurry and that he would wait for us since he had the keys to lock but also asked us not to delay much as it was temple rules. We could sit down there for 10 minutes in that sacred space. Soon, he signalled us that it was risky for him to keep the door open for more time and we made our way to the main temple. The temple was huge Shiva Temple with a huge Lingam inside and a huge Nandi idol outside. Great serenity! Then, the same person ushered us to behind the temple where food was served. He himself served food for us all in the compound and we felt blessed for this gesture. Later, Ekambaran revealed that this person who is the one of the main attendants to this place was his brother-in-law! i was simply stupefied with this and thanked them both. It was here that i realized the reason we were not getting bus from Mayiladuthurai, why we had to walk back, take this taxi from this grumpy man itself, who would lead us to this temple of Holy Father Thirumoolar through his relative without whom we could not have seen this place as it exactly closed at 1 pm, the time we entered. Whole-heartedly thanking the kind person, we left the place and proceeded with our journey. On the way to Madurai, Ekambaran stopped at various other places he felt could be of our interest and we came across many temples that were closed because of the closed timings. After that we decided not to stop anywhere since it was not worthwhile and continued moving through the wonderful land of Tamilnadu visiting sacred temples and places like Kumbakonam, Thanjavur, Trichy and others. It was close to around 7 pm when we reached Madurai and Ekambaran was kind to drop us at a hotel right in front of the Madurai bustand. Taking his contact number and promising to catch up with him the next time if we ever had to come here, we bid him goodbye.